As budgets remain tight, coaches, athletic directors, and league managers are under pressure to keep their teams' expenses to a minimum. 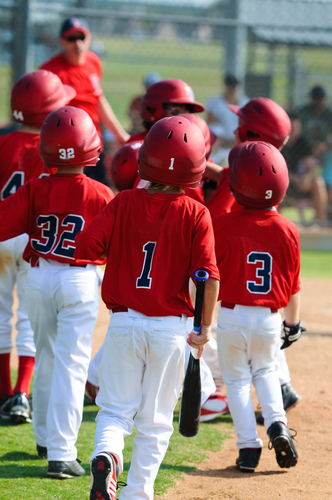 Whether a team is supported by a school or is part of a youth league, the costs for new uniforms and other apparel can be significant. While team apparel is a necessity, there are ways coaches and league officials can keep the cost of new team uniforms manageable. One way to reduce uniform-related expenses is to select standardized styles that work across seasons, sports and years. By purchasing affordable team training gear that can be used and reused, coaches can reduce how often they must ask schools or parents to pay for new items. Of course, durability is a major factor when choosing uniforms that will last, but there are other factors to consider, such as versatility and brand appeal. The following are three questions coaches and administrators should ask athletic apparel team dealers before selecting one for their teams. Do you offer affordable team training gear that can be worn in all three seasons? Can you outfit all our sports teams with apparel? Just as with most other purchases, team gear, apparel, and uniforms can be bought in bulk at discounted prices. The discounts available will vary from dealer, and they will depend on how many units a team, school or league purchases. Schools and leagues should take advantage of their campus buying power and look for a team dealer that offers gear and uniforms for all of their teams. Leagues also often have an opportunity to purchase uniforms for all of their teams at discounted prices. Will these styles be discontinued? A deal on team apparel isn’t worth a lot if the manufacturer discontinues that style the next year. You don’t want to pay to refresh your team’s look every season. Choose brands committed to keeping the same styles in their lineup for multiple years. Because you will only have to purchase fill-in gear for new players, this will reduce your overall annual purchasing needs. A knowledgeable team gear, apparel, and uniform provider will know their product lines’ redesign dates so they can guide you into styles that will stay consistent for three to five years. Teams should seek out manufacturers that are committed to producing the same lines for several years. There are several ways to save money on school or league team apparel. Our guide, “Cost Reduction Methods: A Guide for Reducing the Cost of Team Sports Gear, Apparel, and Uniforms,” is for coaches, athletic directors, equipment managers, and parents who are looking to reduce their team's, league's, or athletic program's apparel spending. It offers strategies for saving money by making smart choices on style and brand and discusses an easy way to generate funds by selling branded team gear in an online fan shop.